The internet can be a worrying place for some, and a wondrous one for others. Those who are new to the world of technology can often approach it with caution due to the bad press it’s received. While it’s true that certain platforms have been attacked, this wasn’t necessarily due to its location, but rather its lack of security. Becoming confident with something means you have to understand more about it, and that will come with time like many thinks. In the short-term, it can be useful to know the difference between fact and fiction in the world of cloud service providers. First of all, it’s worth noting that data can be accessed as easily from a stationary location as it can from the cloud. 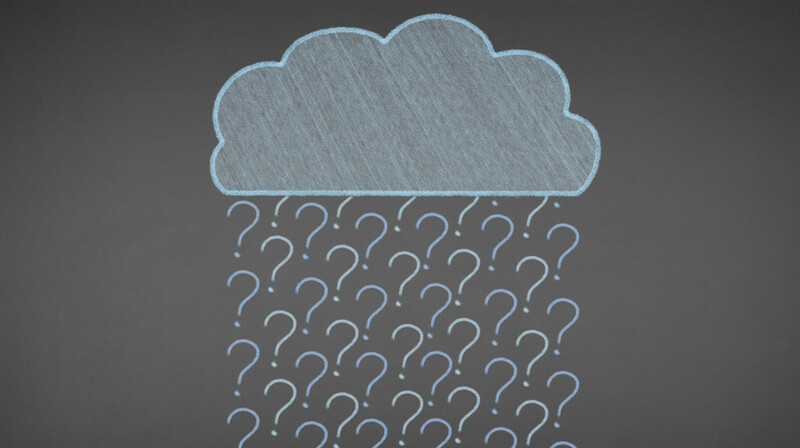 If cloud services were so unreliable, they wouldn’t be as popular as they are among individuals and businesses. Cloud service providers have a duty to customers to ensure it does its utmost to keep customer data secure. However, it can be worth checking the terms and condition to see what will happen to your data should the worst case scenario arise. Businesses who feel that they should have an additional layer of security could speak to a provider that deals exclusively with security, such as Dell Information Security. Depending on the size of a business, data held within the cloud can travel globally or locally, but the user always know where its data is kept. Users of the cloud should be able to find out where their data travels, and how this data is protected while in transit. It’s also the user’s responsibility to ensure that any data that passes through a certain country adheres to local regulations. Some cloud service providers will operate data centres globally, so will be fully aware of the regulations for each country. Like any data held on a physical advice, the cloud is only as secure as the process behind it. If the data held within the cloud is held together by tight security, the only ones who can see the files are those who have been given access. Because files are held online, many will assume that it’s shared freely. In fact, the opposite is true. As previously mentioned, the cloud service provider has a duty to protect your data the best way it can. Giving anyone free access to your information just isn’t in a company’s best interests. While the above are myths, there are still plenty of threats that could affect anyone from an individual to a global company. However, becoming pro-active in relation to security means that familiarity is quickly eradicated, making it much more difficult for the uninvited to gain access. Whether you’re an individual or a business, you should consider what features you require from your cloud service provider and what their terms and conditions are in relation to these features. This entry was posted in Technology and tagged cloud storage on August 24, 2015 by Admin.